Equerry Horse & Pony Mix – 10 Bags to Win! FOR horses and ponies in light to medium work Equerry Horse & Pony Mix provide the ideal option. And we have 10 bags to give away! Helping to maintain condition and offering a medium energy level, the mix includes a high fibre formula to support a healthy digestive system. Good levels of protein for muscle tone and development are included while oil promotes a shiny coat. 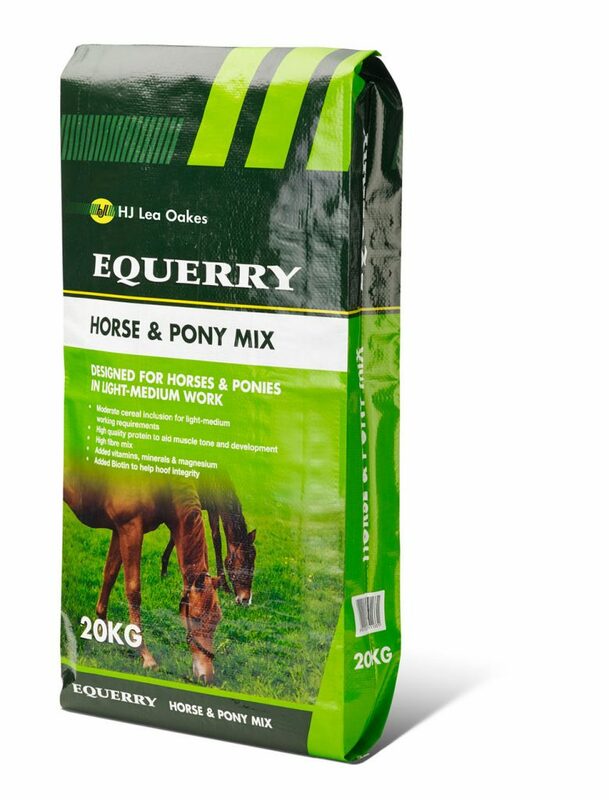 Equerry Horse & Pony Mix has added vitamins and minerals including magnesium for all round health and vitality.